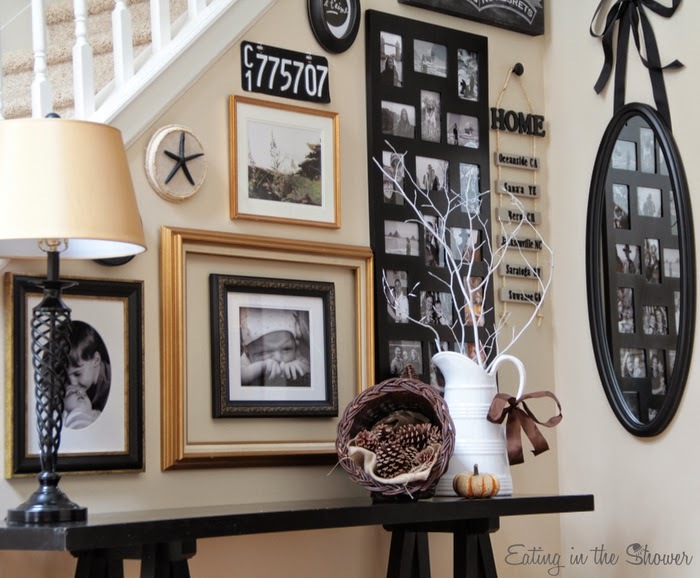 It was hard not to give in to the temptation to decorate for Christmas this week when I put away all of the Halloween gear but a fall chill in the air and the leaves finally turning put me in the mood for Thanksgiving style around the house. 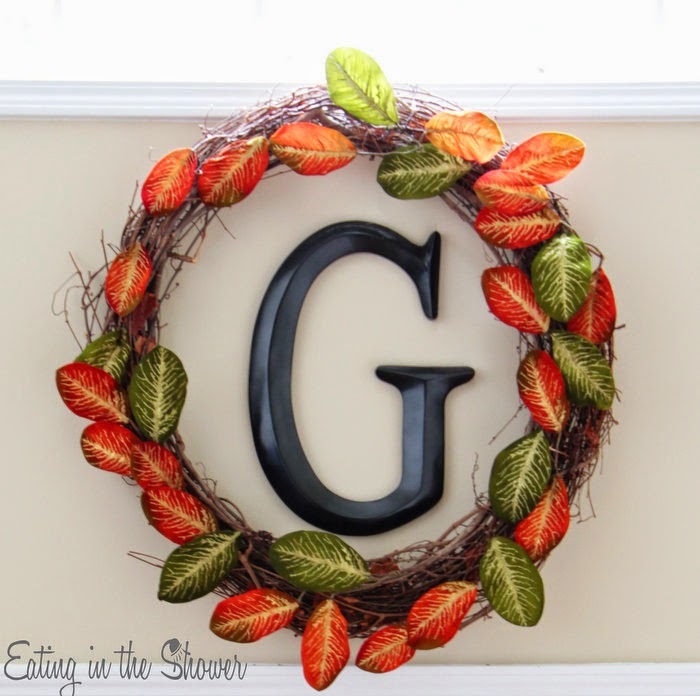 I had this fall leaves wreath above the door. 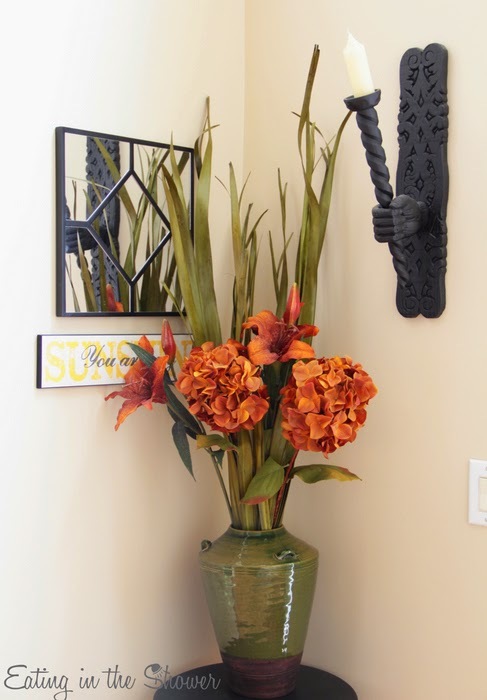 Just inside the front door a green and brown vase is filled with fall colors. 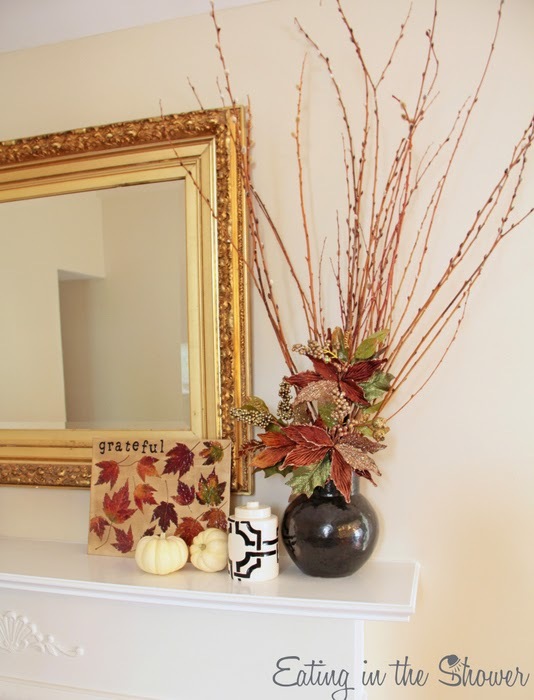 Even though I don't love fake flowers, this time of year the faux seems to work. 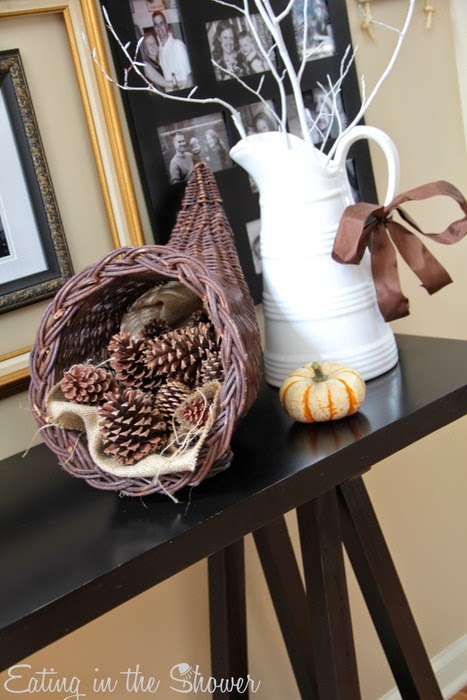 The foyer table has a horn of plenty pine cones and the same spray painted white branch I've been using around the house since a New York Easter it spent as an egg tree. For the mantel, I took away the orange but left the white pumpkins from Halloween. 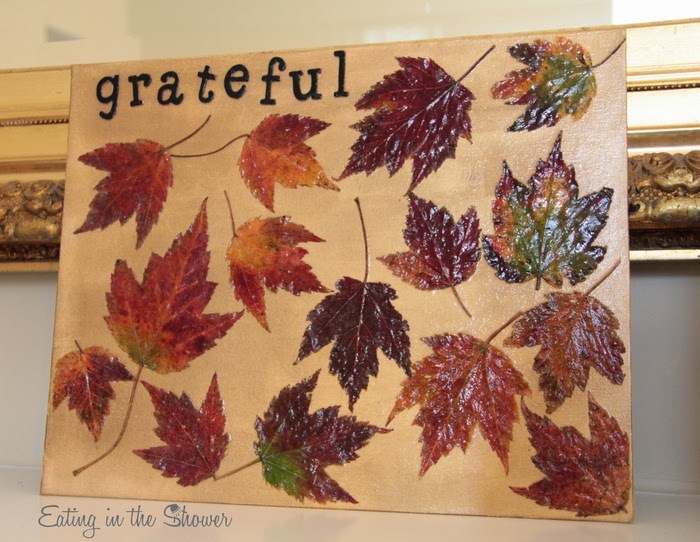 I added the 'Grateful' leaves canvas I made with my son and some sparkly flowers that I've used in the past to decorate a grapevine wreath. 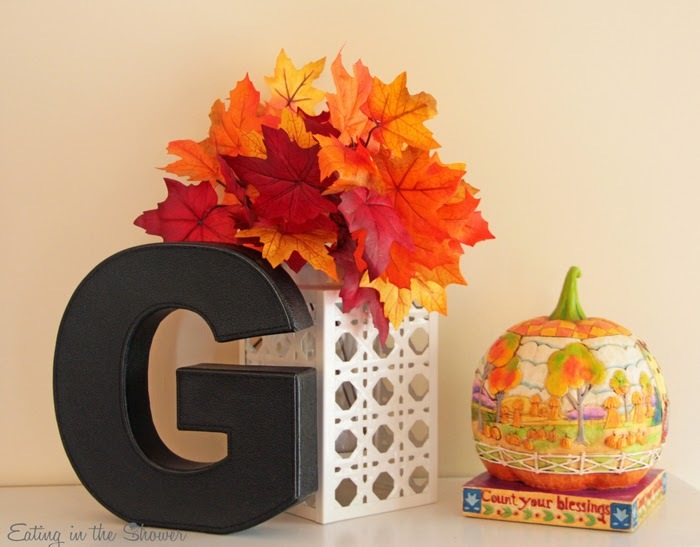 Nearby some paper leaves and a 'Count Your Blessings' pumpkin warm up a corner of the living room bookcase. 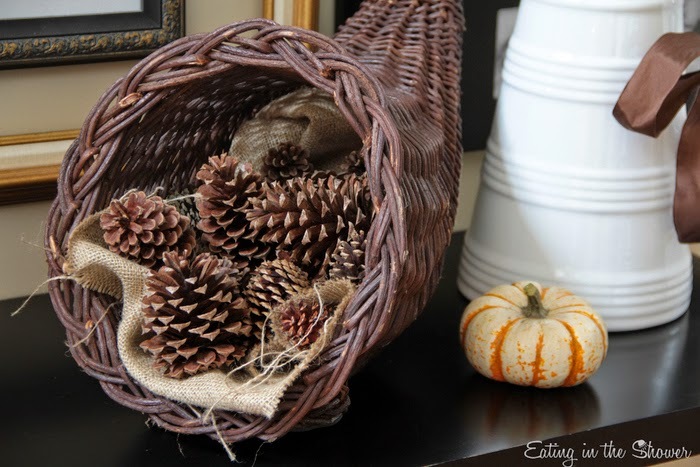 There are only a few simple fall items here and there throughout the downstairs, leaving it room to breathe for the next few weeks until I cover every inch of it in Christmas cheer. But right now the only thing I want decorating the kitchen is the pumpkin bread.